There are 2 main types of Cockroaches in our area; American and German. The smaller is the German cockroach and they are the most common of the smaller roaches and can be found mostly in residential, multi-family apartments and restaurants. They can be difficult to control. They carry bacteria and thus can be a health hazard. The most common larger roach is the American roach. The American roach breeds inside and outside and is mainly found in large commercial buildings, around mechanical centers, steam pipes, and drains. 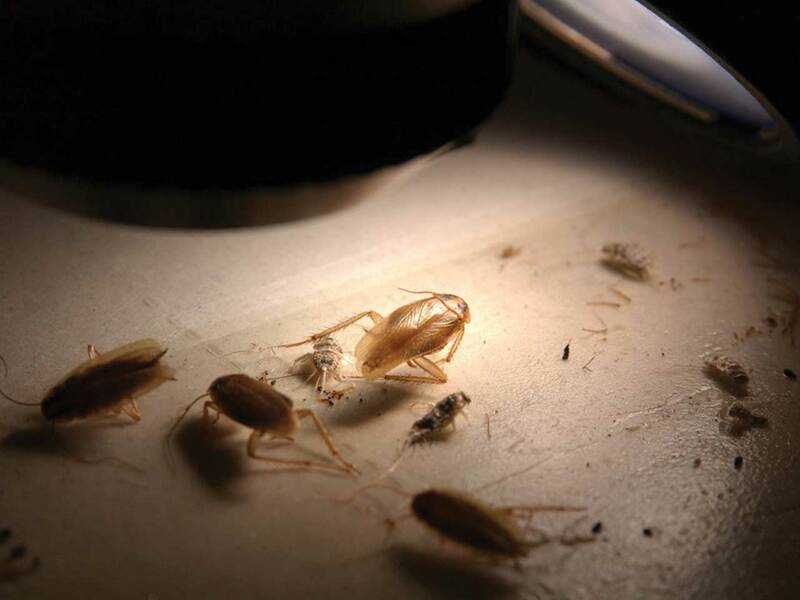 The treatment for cockroaches is extensive and involves preparation by the resident. The kitchen is usually the hot spot for these roaches. They love grease, thus a thorough cleaning of the kitchen is the first step. If you have a cockroach problem, preparation steps can be provided. Prevention involves keeping your kitchen clean. Wash, dry, and put away dishes on a daily basis. Do not leave food out on the counters. Grease is a cockroach’s friend and it breaks down chemical applications. Clean up grease on the stove, counters, and on the floor. Rinse pop cans and place in container for recycling. Recycle cardboard containers and grocery bags, they are a harborage for roaches. Check behind drawers for bags that have fallen behind them. Do not leave food items in other areas of your home. This will be a competing food source for a baiting Program. If you have an issue with cockroaches and want additional information, please call our office for prevention and treatment options.